It has been unseasonably warm here in Tucson this holiday season, I'm talking 90 plus temperatures right through the end of November. When I had a few friends over the other evening it was warm enough to sit outside until the wee hours without jackets. 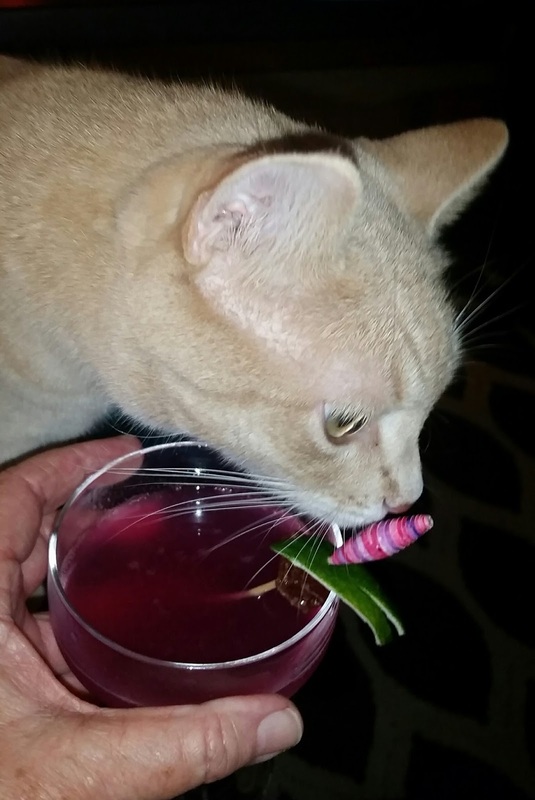 That meant I wasn't going to be serving any traditional holiday cocktails, not by a long shot. On top of that, one of my guests was from out of town and I wanted to serve up a little bit of Arizona in a glass for him. That meant bringing out my Prickly Pear syrup again, but this time I wanted something I could batch up for several guests so I could enjoy my company. 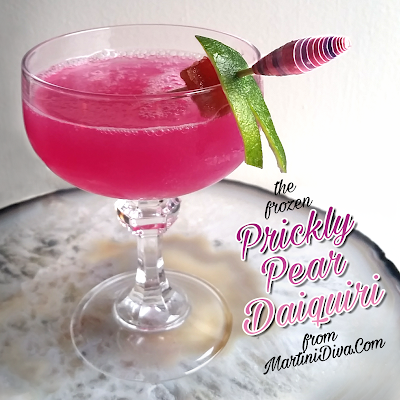 Daiquiris are an easy cocktail to mix by the batch. All you need to do is multiply your recipe for the number of cocktails you need, throw that into a baggie, give it a good shake then freeze early in the morning and by happy hour all you'll need to do is pull out your "bag o' daiquiris", toss it back in the blender and pulse until nice and smooth. (Because of the level of alcohol your "frozen" bag of daiquiris will be slushy instead of a frozen block so no need to defrost or worry about killing your blender.) One added advantage of pre-freezing is you get a finer ice crystal and, thus, a much smoother frozen cocktail from the double blending. I just multiplied my ounces below by cups and I had one blender full. I did this for 3 bags, just in case we decided we needed more daiquiris while we played Cards Against Humanity. The great thing about making extra is that it keeps, for several weeks in the freezer, if you don't drink it that same day. 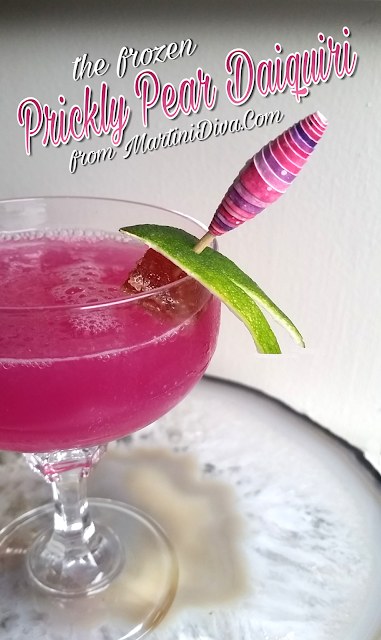 The Frozen PRICKLY PEAR DAIQUIRI (Multiply times the number of drinks required) INGREDIENTS 2 Ounces White Rum (I used Bacardi Silver) 1/2 Ounce Freshly Squeezed Lime Juice 1/4 Ounce Prickly Pear Syrup 4 Ice Cubes (or 1/2 cup of water if pre-freezing) Garnish: Small cube of cactus candy and/or lime twist Tools: Blender (plus baggies if batching) Glass: Coupe DIRECTIONS Throw all the ingredients into a blender and pulse blend until smooth. Pour into chilled coupes, garnish and serve. (If pre-freezing just pour into a baggie and freeze.) Bailey was, of course, part of the party. He won't have it any other way.